I am a Master Degree student, studying Plant Taxonomy at Institute of Botany, Chinese Academy of Sciences. During my coursework study at UCAS, there were many interesting things to learn and participate in various activities such as paper cutting, Chinese Characters drawing, culture exchange celebrations and so on. I had learned Plant Ecology, Conservation Biology, Scientific Writing, and Research Ethics. These subjects are supporting to study my major subject at my institute. Having learned elementary Chinese language, it becomes more convenient in communications and living in China. I had made friends with other international students to enjoy together our student life, and to discuss some talks, such as academic or cultural topics. It is very pleasant to mention that I had got high scores in each subject during my coursework study at UCAS. As for my research topic, I have studied literature as well as conducted fieldwork in a fruitful way. Fortunately, there is a herbarium (PE) at my institute, the largest one of Asia, where I can study many herbarium specimens collected from different regions at different time. In some flowering seasons, I have conducted fieldwork in natural forestland of my country, sometimes together with my supervisor or sometimes on my own. In order to study my focus taxa, Orchidaceae, in more detail, I have collected more than 600 specimens during my fieldwork. All these collected specimens are kept at Herbarium (PE) for further research studies. 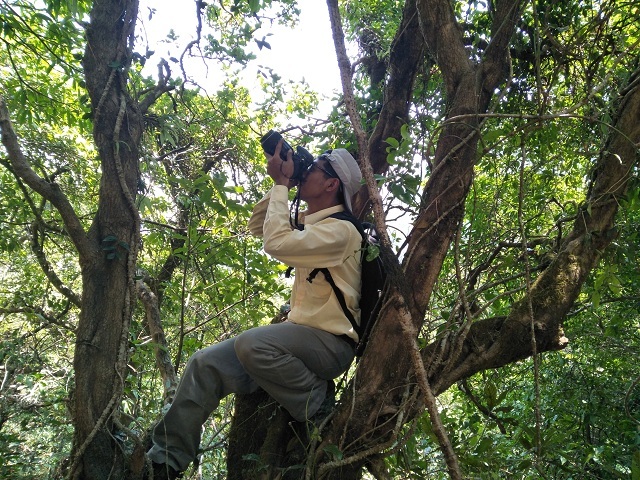 In order to study my focus taxa group in all different habitat types of Myanmar, I have conducted fieldwork in different ecological habitats of my country, namely subtropical montane forest of northern Myanmar, deciduous Dipterocarp forest of central Myanmar, and tropical evergreen rainforest of southern Myanmar. 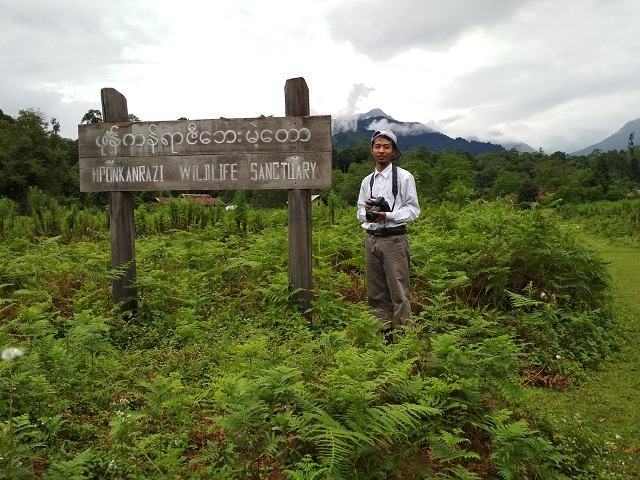 More exactly speaking, my fieldwork has been conducted in more than eight nature reserves across Myanmar. During my fieldwork, I have discovered some new species to science as well as new record for Myanmar. In addition, species diversity and distribution of Orchidaceae have been observed in my fieldwork. In order to study the ecological and phenological features of species richness across the country, I have conducted fieldwork three times in various habitat types at different seasons of each year. As a result, it is observed that some species are in flower in winter, while some are in flower in rainy season or spring. It is also obvious that collection of specimens with flowers may lead to good identification process afterwards. Under the guidance and supervision of my supervisor, I am making efforts to revise the current checklist of Myanmar orchid flora (updated since 2003) as the part of my Master’s degree thesis. I hope the upcoming revised checklist will contribute to the future research studies in orchids of Myanmar. Currently, I am conducting specimen identification at Herbarium (PE) so as to study morphological nature of Myanmar orchid flora and its distribution and diversity across the nation. The results will contribute to the revision of current checklist as well as the assessment of orchid conservation status in Myanmar. 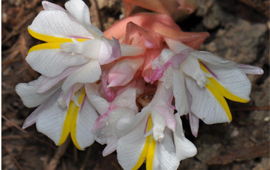 In Myanmar, all orchid species (currently more than 800 species recorded) are protected under national legislation of Wildlife Protection Law, authorized to Myanmar Forest Department for its conservation. Conservation status of Myanmar orchid flora will be assessed based on both the recent and old collections of specimens, along with field observations and IUCN Red List Categories and Criteria. The assessment result will contribute to current and future conservation attempts of biodiversity including orchid family (the second largest family of flowering plants). In this regard, I am making attempts to publish orchid taxonomy and conservation papers in the international journals. Over last months, I have already published three new orchid species discovered from Myanmar on PhytoKeys,with precious guidelines of my supervisor Xiao-Hua JIN. These new orchid species are Coelogyne putaoensis X.H.Jin, L.A.Ye& Schuit, Gastrodia kachinensis X.H.Jin &L.A.Ye, and Odontochilus putaoensis X.H.Jin, L.A.Ye&A.T.Mu.They were discovered in montane forest in Putao, Kachin State of northern Myanmar, situated in the ecological transition area of three global biodiversity hotspots; the Indo-Burma hotspot, Mountains of southwest China hotspot and Himalaya hotspot. In fact, the whole country is situated in the Indo-Burma hotspot, one of the four biodiversity hotspots in Southeast Asia. Although Myanmar is very rich in biodiversity resources, its research progress is still ongoing, indicating that much more research activities are urgently needed for its conservation. In this regard, biodiversity research and conservation activities are still under implementation, in cooperation with various international research and conservation institutions. Among them, Southeast Asia Biodiversity Research Institute, Chinese Academy of Sciences (CAS-SEABRI) is an active research institution which is conducting biodiversity research in Myanmar, also implementing capacity building programs such as offering degree courses or training courses to local conservation personnel. As the orchid studies in my country is still underway, my research work will contribute to the nationwide documentation of flora of Myanmar to a certain extent. 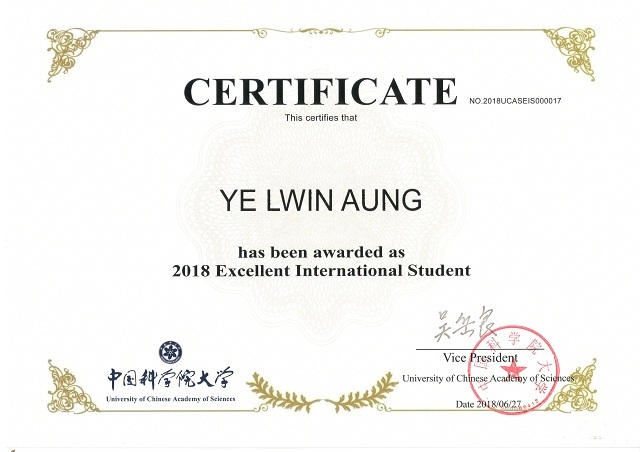 Last but not least, all progress and achievements of my research work are due to the academic and financial supports of Chinese Academy of Sciences (CAS) and hence my special thanks go to CAS for its generous supports to me.